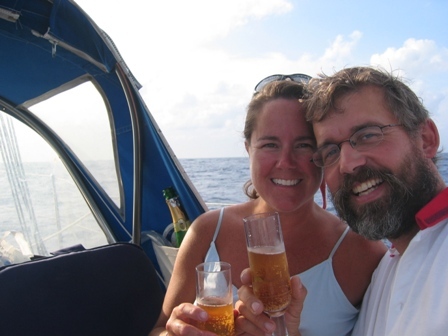 We decided to leave Cape Verde on Christmas Eve because both of us wanted to celebrate Christmas at sea. 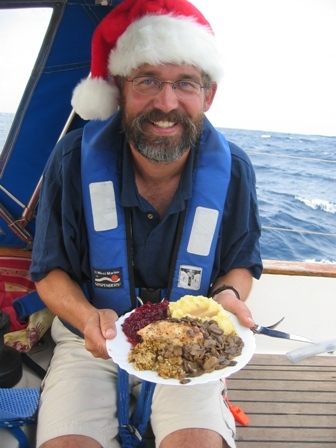 At 10:00pm that evening, Marco was on watch, when on channel 16 on the VHF Santa came over the radio loud and clear saying, "HO, HO, HO, Merry Christmas". And When I was on watch at around 2:00am I could of sworn I saw a flash of light and heard bells, it must of been Santa on his sleigh!! Before Christmas dinner we had some nibbles, smoked salmon, brie, salami, crackers. 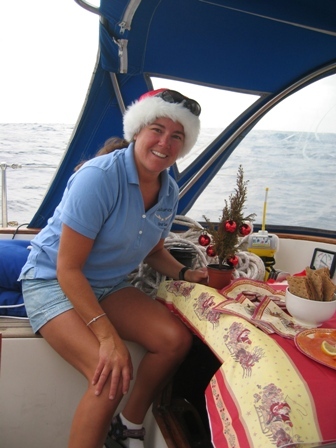 It was quite difficult to keep everything in place with the boat rocking, in fact we did have few instances of flying crackers, but we made the most of it while also listening to Christmas music. We even had a little Christmas tree, sort of. I had bought a miniature live tree before we left Gran Canaria and we had it in the cockpit during the entire trip to Cape Verde. We took water into the cockpit a couple of times then and the little tree must not of liked the salt water. When Christmas came around it was quite brown, actually I think it was dead, but we decorated it any way and it ended up being just like Charlie Brown's Christmas tree!!! Marco getting ready to dig into Christmas dinner. Chicken breasts stuffed with stuffing, cranberry sauce, mashed potatoes and gravy, and sautéed mushrooms in a wine herb sauce. 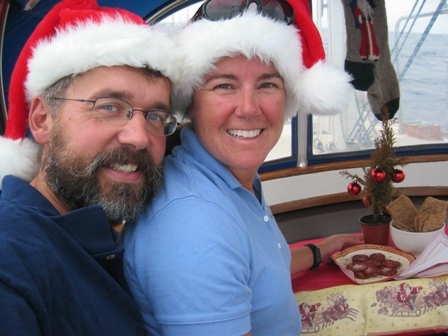 It felt kind of strange to be celebrating Christmas in 85° F weather and sailing but we ended up having a great day. Of course we got to talk to our families on the satellite phone which made both of our Christmas's very special!! On New Years Day we got to celebrate our half way mark. Here is a picture of Dalliance in between Africa and South America on our chart plotter, It always blows our minds when we look at the plotter and see that we are in the middle of the Atlantic Ocean. Chilled sparkling grape juice to celebrate the milestone. 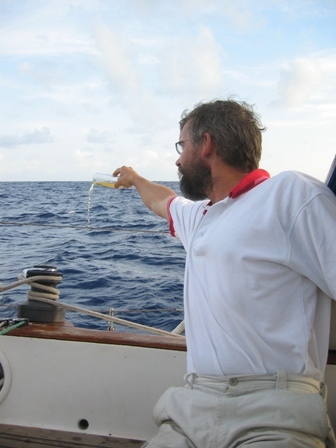 Marco sharing some of the grape juice the the Sea Gods. Our friends André and Esther gave us some presents before we left Holland and told us we couldn't open them until we left the continent. We decided to save them for just this moment instead and were glad we did. They stocked us up with all kinds of treats!!! You guys are SUPER!!!. 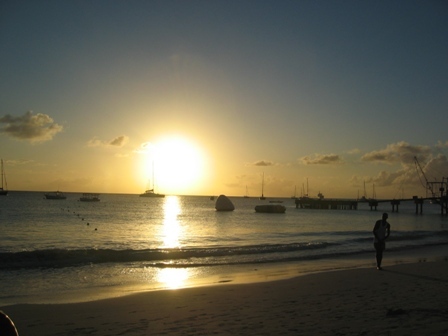 Hey by the way we are going to be in Bequia soon, why don't you join us??? 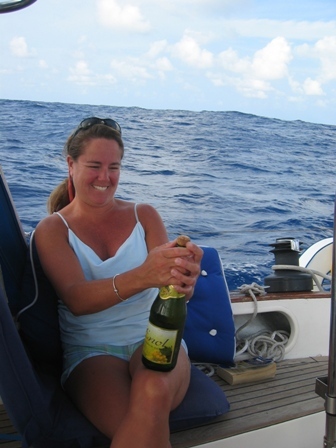 We wasted no time after our arrival in Barbados to celebrate with a cool drink and jumped off the boat for a refreshing swim. 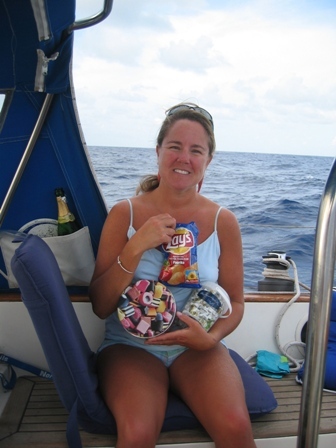 We had thought about swimming off the boat while underway during some off the lighter wind conditions, but the fear of sharks kept us on the boat. 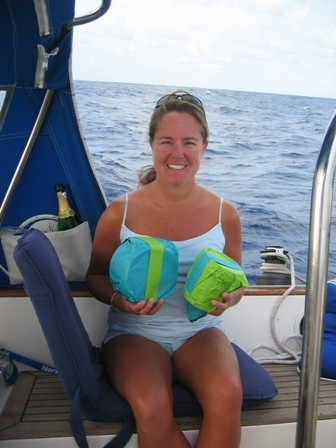 In retrospect, we are glad we did, because our friends on Lena saw a large hammerhead shark swim by their boat while underway! 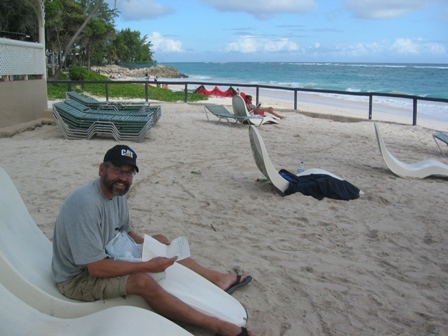 Sadly, our delay for repairs in Cape Verde, made us miss meeting David and Katy, and friends at the Silver Sands in Barbados. They did leave us a fun package with a nice welcoming letter and birthday presents. A CAT hat to replace a John Deere hat lost in the Gulf of Maine on prior sail trip with David, as well as some great books, and underwater camera. What else could you ask for? As an extra bonus, there was also a note from the Hanks family, who happened to be staying in the same resort when David and Katy were there. 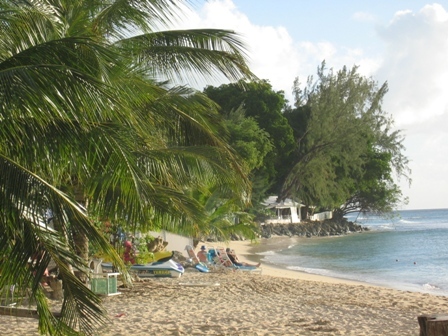 They have been windsurfing there for over 20 years (Yes, Barbados really is that nice), and they had also great tips of where to go. 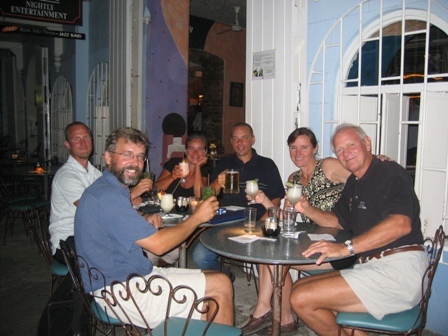 A celebratory dinner with the crews of Lena and Cinnabar who made the Atlantic crossing with us. 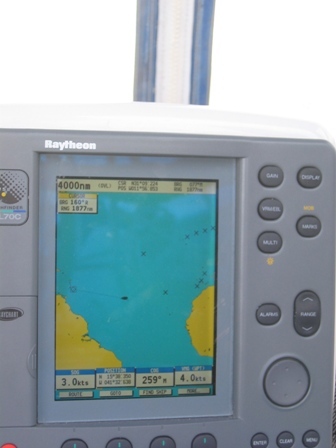 They were both also part of the twice daily shortwave radio net, that kept track of each of the twelve boats' positions, weather, and any other issues that might arise. 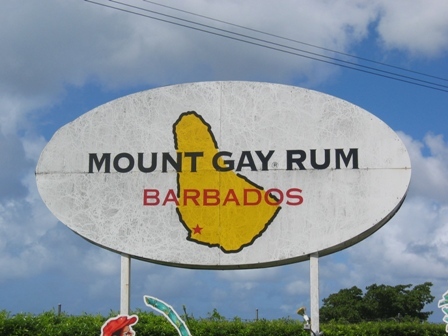 One of our outings on Barbados included the obligatory Mount Gay Rum factory tour. It was very interesting to see the process of growing sugar cane, refining the cane and molasses, and finally the distillation and barrel aging. Oh...and there was some tasting afterward. 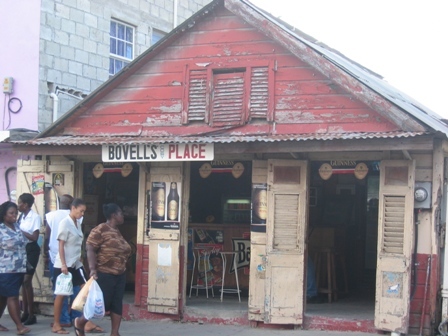 Small rum shacks are popular watering holes for the local Barbados population. This is our first Caribbean beach on this adventure. 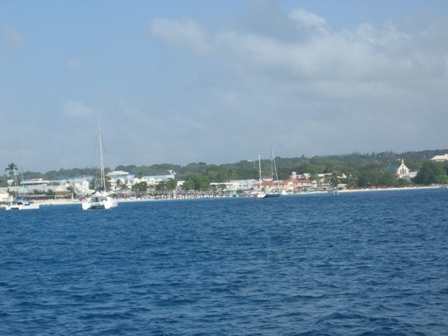 It is in Carlisle Bay, where Dalliance lies anchored. There is plenty of room in the anchorage, as the boats that crossed with the ARC (Atlantic Rally for Cruisers) went straight to St Lucia. 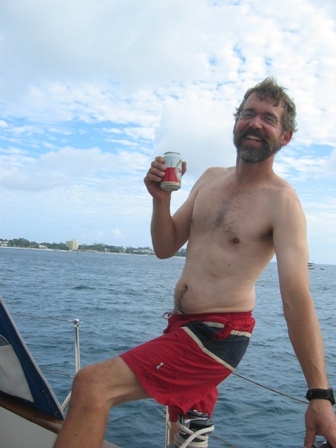 The one draw back is that the Atlantic swell does manage to rock the boat significantly at times.